St. Joseph by-the-Sea High School students check out a book with school chaplain Father John McCarthy in the library at St. Joseph’s Seminary in Dunwoodie March 21. Students toured the seminary as part of an Evening for Vocations. Forty-seven guests from St. Joseph by-the-Sea attended. Cardinal Dolan explained the pivotal role of priests during his homily to 120 guests attending the Evening for Vocations March 21 at St. Joseph’s Seminary in Dunwoodie. 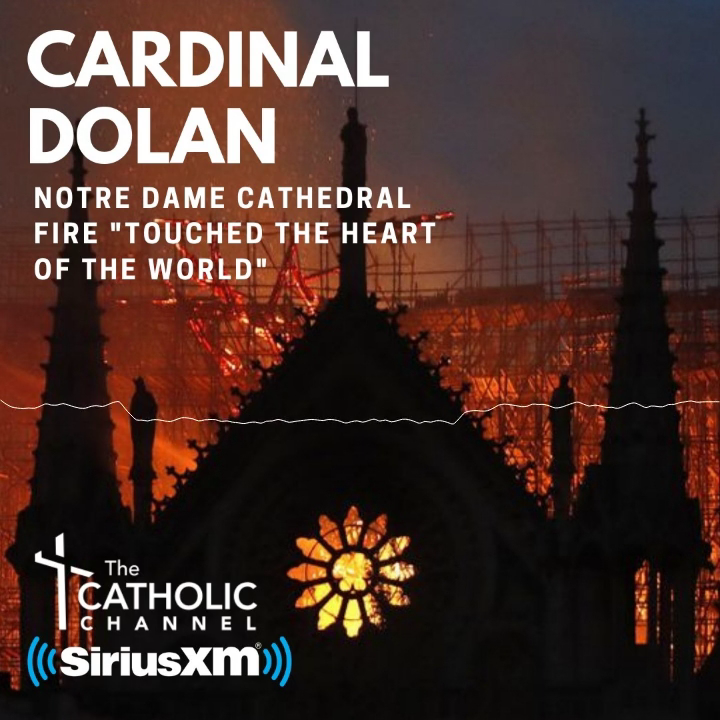 “A priest builds a bridge between God and people, to bring God closer to people and to bring people closer to the Lord,” Cardinal Dolan said. When the cardinal was recently at a hospital to visit a burn victim, he said other patients and visiting family members saw him. The guests, including many students from Catholic schools in the archdiocese, began by touring the seminary. They visited the chapel and library, which has a collection of rare books dating back to the 16th century and the chair used by Pope John Paul II during his visit to the seminary in 1995. After evening prayer, guests listened to three seminarians speak and enjoyed a dinner of pasta, chicken parmesan and salad. “It’s always one of the highlights of my year to have the guys here,” Father Christopher Argano, vocations director for the archdiocese, told CNY. “To have high school and college age guys here, it shows there is definitely still an interest to think about a vocation to the priesthood. It’s still in their mind and heart. Emmanuel Uzobuife and Christopher Mendez joined fellow students from Cardinal Hayes High School in the Bronx who were visiting St. Joseph’s with school president, Father Joseph Tierney. For Emmanuel, it was his first visit to the seminary. “Overall, I loved everything about seeing the building,” said Emmanuel, a freshman. “I loved (Cardinal Dolan’s) message. He helped me understand the way I should look at a priest and understand what the priest does. It helped me understand more about my faith as a whole. Mendez, a senior at Cardinal Hayes, is planning to study theology at Fordham University and is considering a vocation to the priesthood after college. Vincent Siracusa, Hudson Scanni and Steven Anzalone were among 47 guests who came from St. Joseph by-the-Sea High School, Staten Island. The three seniors, who were visiting the seminary for a second time, are planning to attend college and have thought about a vocation to the priesthood in their future. Peter Canale, an eighth-grader at Annunciation School in Crestwood, was making his first visit to the seminary. “It’s beautiful. It’s a lot bigger than I thought it would be,” he said.